Planet Burdett: The Most Wonderful Time of the Year! One of the many reasons I love Christmas--and not the most important one, mind you--and yes, I do realize that we haven't even had Halloween yet--is because of the egg nog that is in abundance at that time of year and no other. I love egg nog any way you can have it: by itself, in coffee, in cake...sometimes I even shampoo with it. And guess what Walmart is already selling? So, as far as I'm concerned, let the Christmas season begin! I washed my hair with beer once. It was horrible. 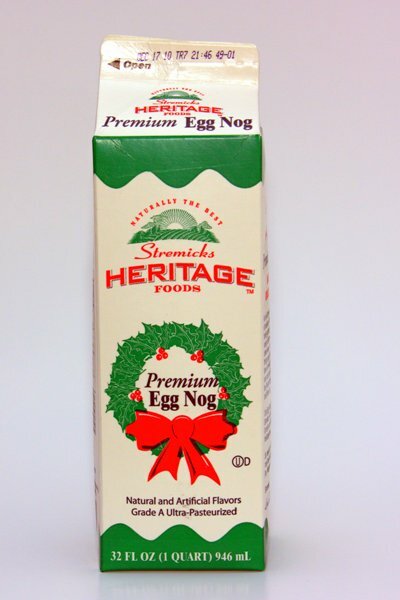 I would rather use egg nog than beer. I say go for it!